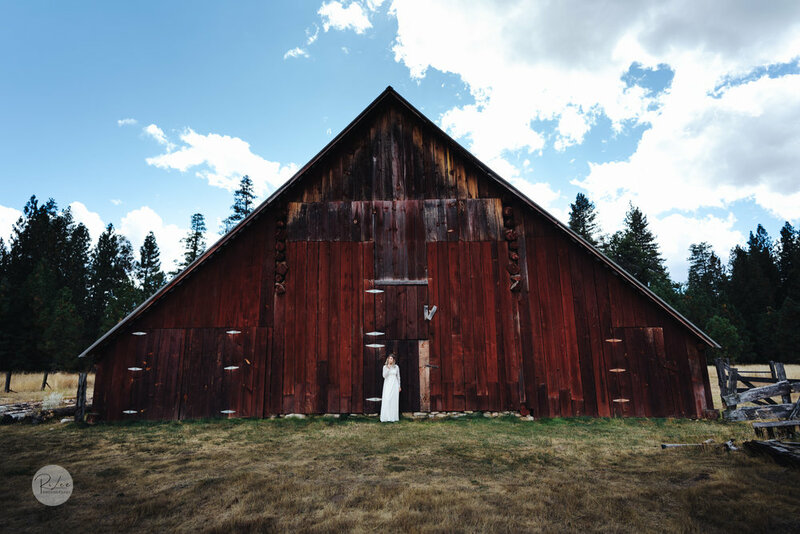 Is it possible to have an amazing Yosemite wedding or elopement for under $1,000? Yes! Here’s how we did it. 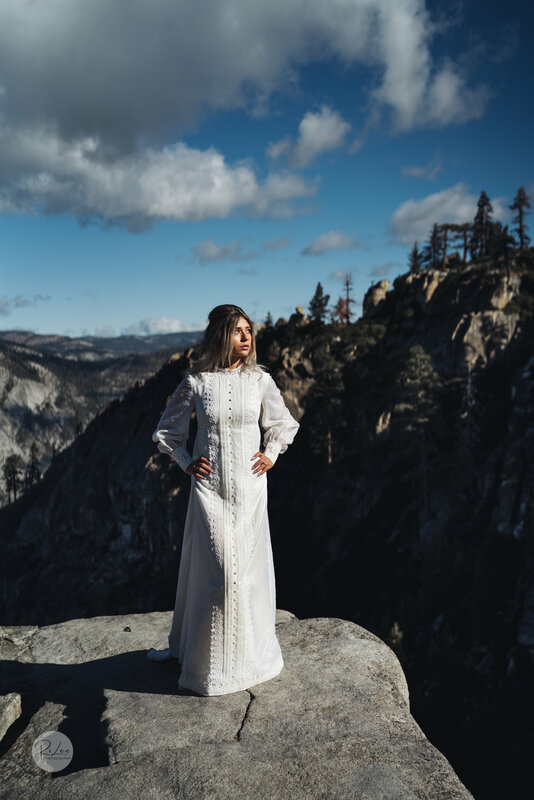 If you want to look great for your Yosemite adventure wedding or elopement, the wedding dress is a great place to start cutting costs as it can take up a major portion of the budget. 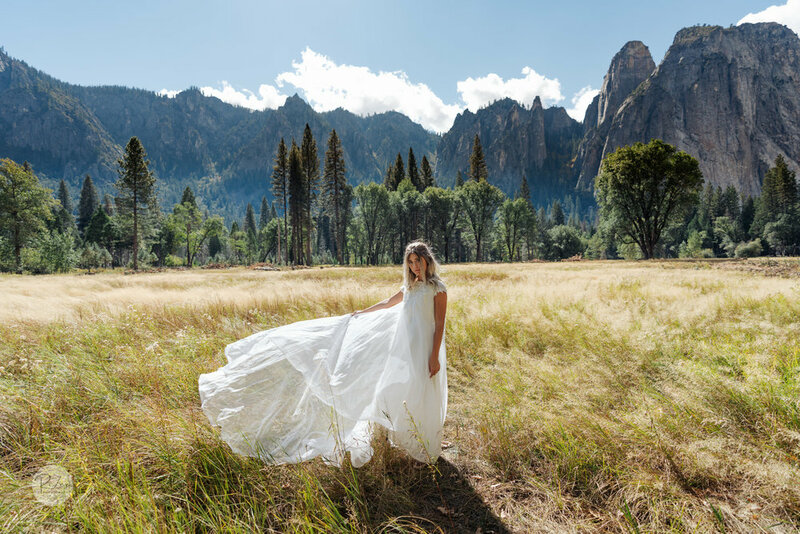 To keep things local to the Yosemite region, we contacted Sierra Bridal and Balloons in Sonora, CA, with the goal to get a wedding dress for under $200. Not only did they have one, but they had more than a few to choose from. 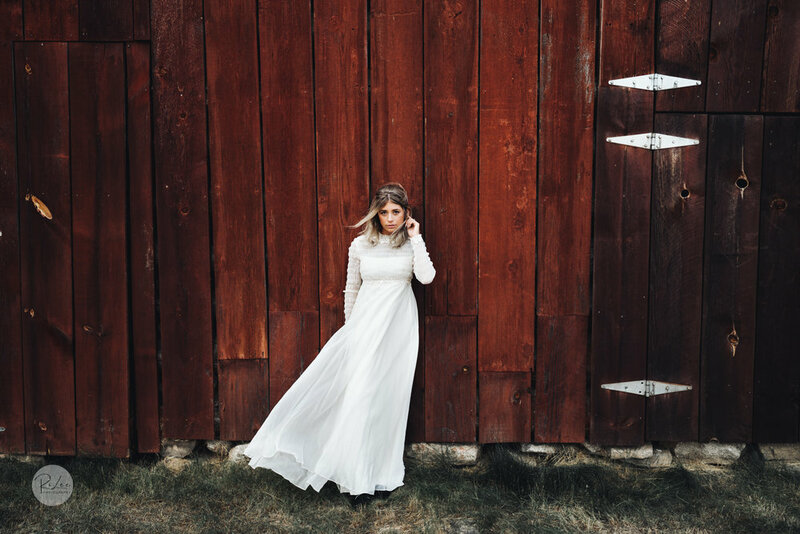 We ended up taking 4 different dresses with us on the shoot, all of them under $200 and with their own unique vintage personality. Makeup and hair are also critical. 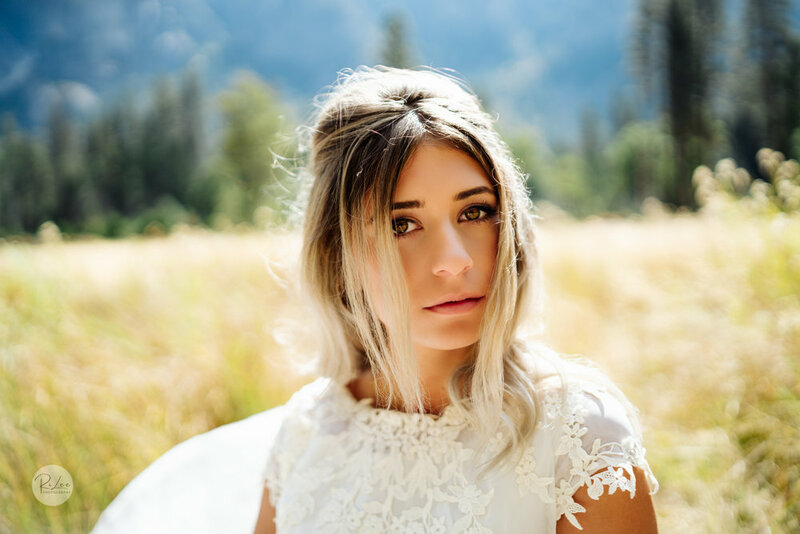 Lighting conditions are not always optimal outdoors, so good anti-glare makeup and well styled hair can go a long way in keeping your bride looking put together all day. 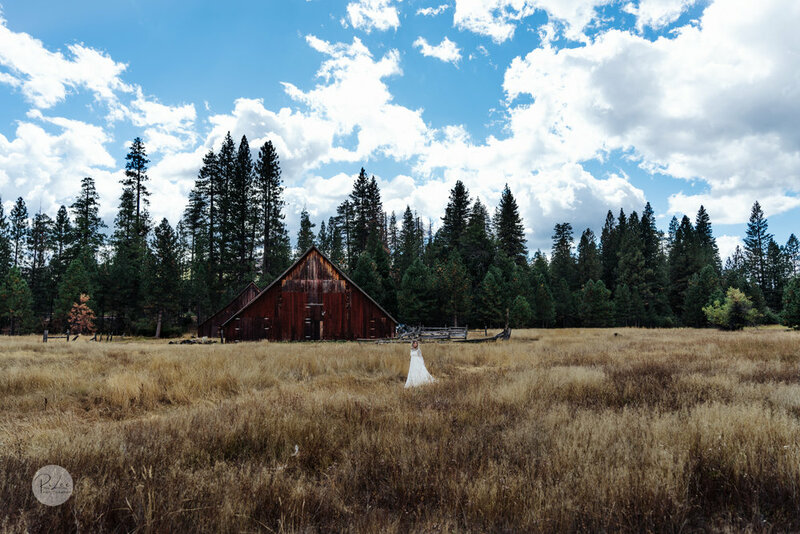 When photographing weddings in Yosemite or anywhere outdoors, a good majority of time can be spent walking and hiking your way to epic locations. 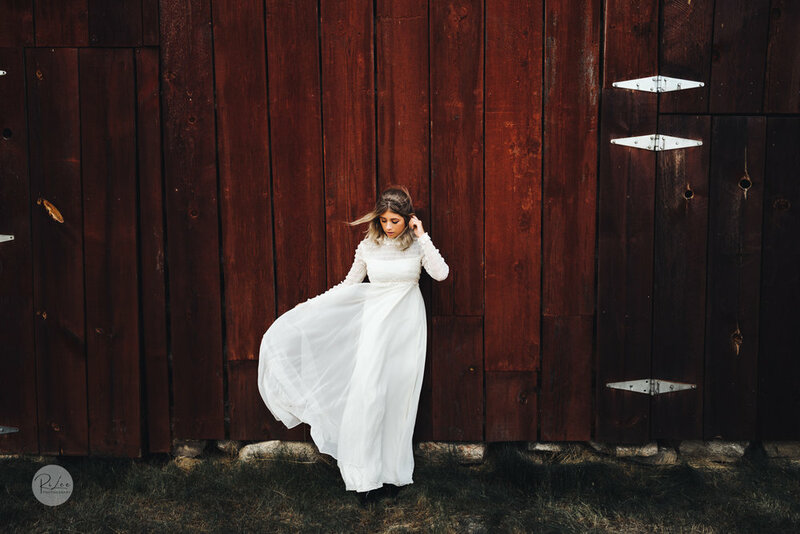 You -of course- won’t have a portable hair or makeup studio with you, so getting it done professionally beforehand can go a long way to ensure you’re looking great all day. 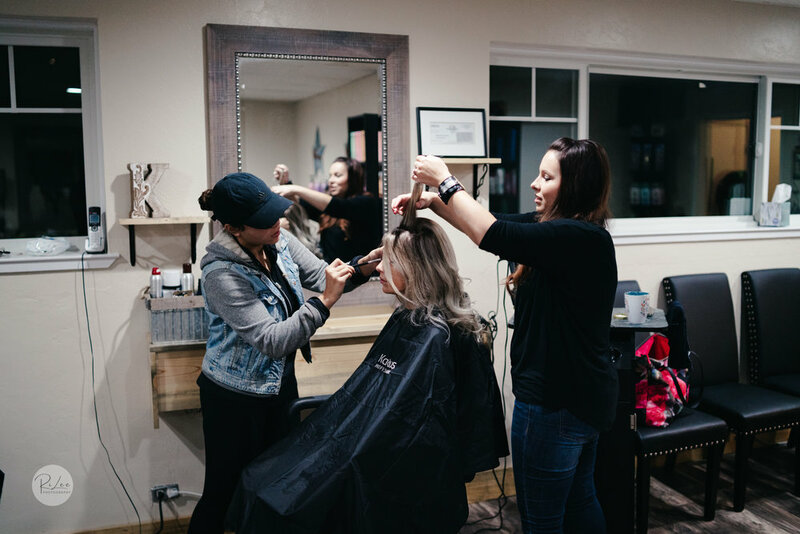 A local salon, La ti Da Salon in Sonora, CA really stepped up to the challenge and started hair and makeup with our bride at 4:30am to get the bride-to-be out the door and ready for sunrise shots. 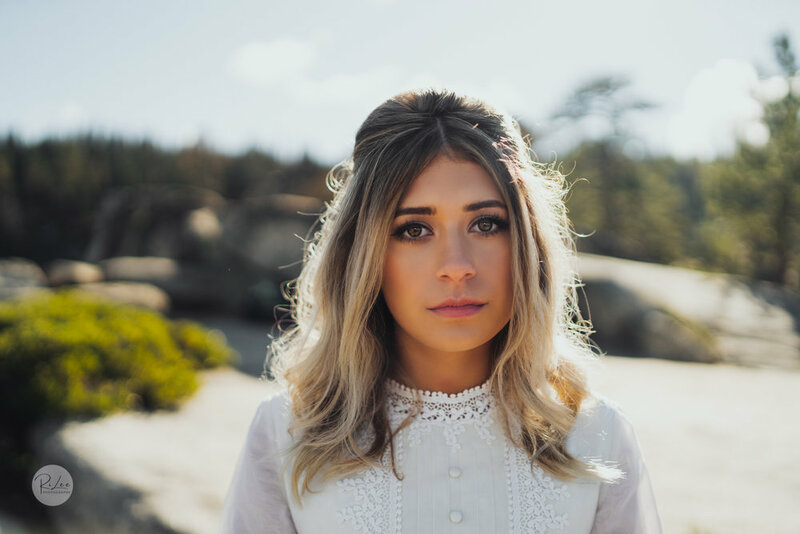 And since Yosemite is only 1.2 hours from Sonora, CA, Tuolumne County provides amazing pools of talent for hair, makeup and floral choices. This close location to services is crucial for locking down reasonably priced accommodations and vendors. A bouquet is a key accessory in any traditional wedding. Since we had vintage dresses selected, we needed the perfect flowers to accompany the look and feel of our bride. Sweet Lilacs in Jamestown, CA took our request and assembled an amazing dry flower bouquet for under $150, with a matching flower crown. The dry flowers provided a beautiful bouquet that would not wither in cold or heat and would keep up with all of the elements of Yosemite for the entire day. Shoes where not a major focus for us during this shoot, but it should be noted - a Yosemite adventure wedding is best met with a good pair of sneakers on hand, in addition to any heels. 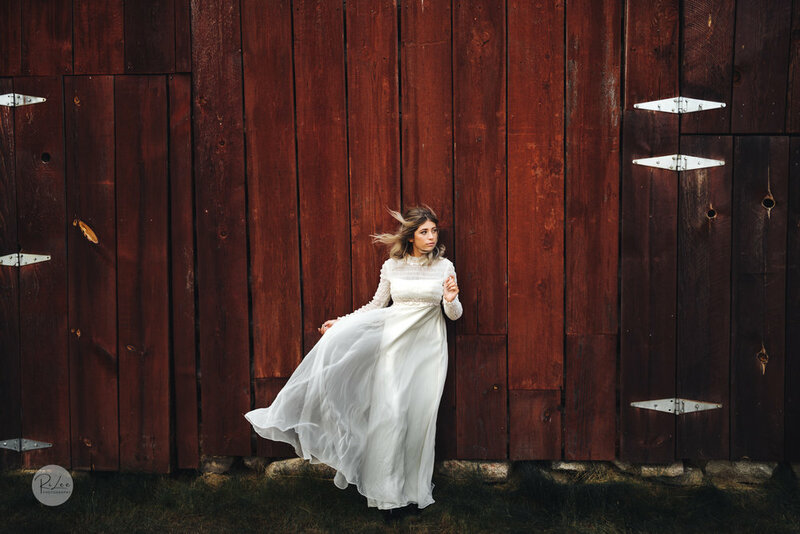 The total cost for this shoot did not incorporate the would-be groom, but, often dressing your counterpart is a fraction of the cost and effort. When you remove the dress, hair and makeup from the equation, we think you should be able to nail down a great groom ensemble (which includes slacks, a button-up shirt and tie) for around $150-$200 at most at any clothing or thrift store. Approximate total: $800 (on the high end) and $650 (on the low end). That just leaves the travel costs of getting to and staying around Yosemite and, of course, photography. Travel and accommodations are not included in these calculations because there are a lot of variables involved. But we can suggest looking in Mariposa and Tuolumne County. Both offer year round accommodations and easy, quick access to Yosemite. Voila! 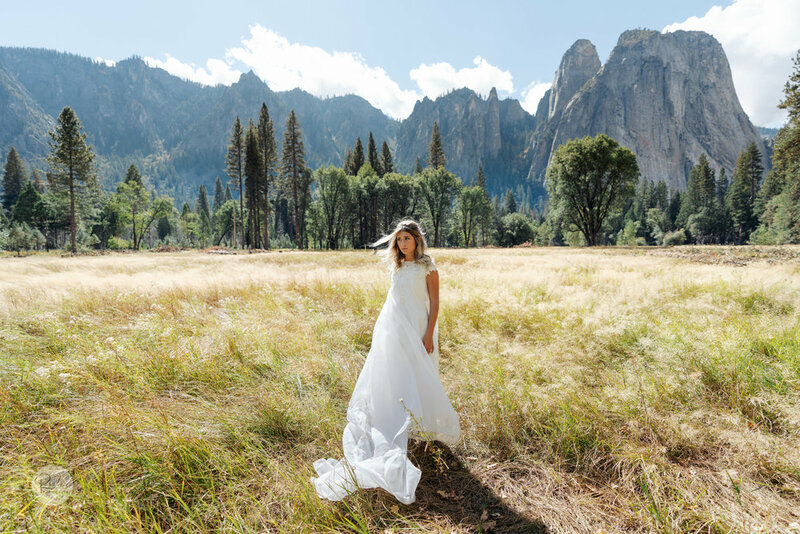 We are confident you can outfit your Yosemite wedding or elopement for under $1,000. And for that low cost, you’ll take home memories of a priceless adventure. 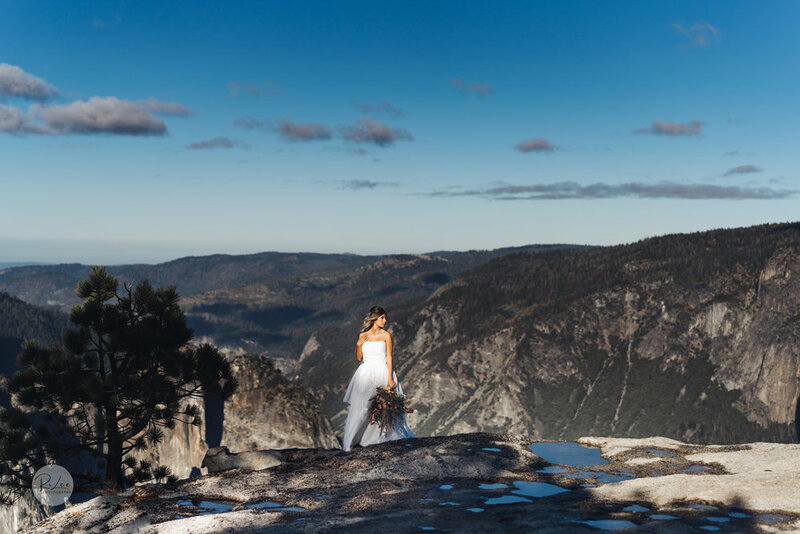 For a little bit of background on this budget adventure Yosemite wedding shoot, check out the images below. The day started out with early morning light at Taft Point, working our way back down to Yosemite Valley, and wrapping up the shoot in some stunning meadows just outside Yosemite Valley. 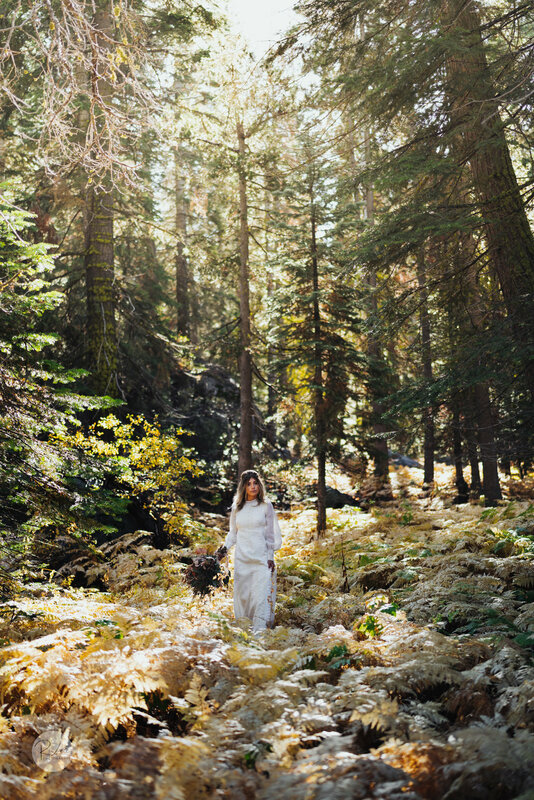 RiLee Photography can make an adventure Yosemite elopement photography session a fun and stunning experience with lots of variety. 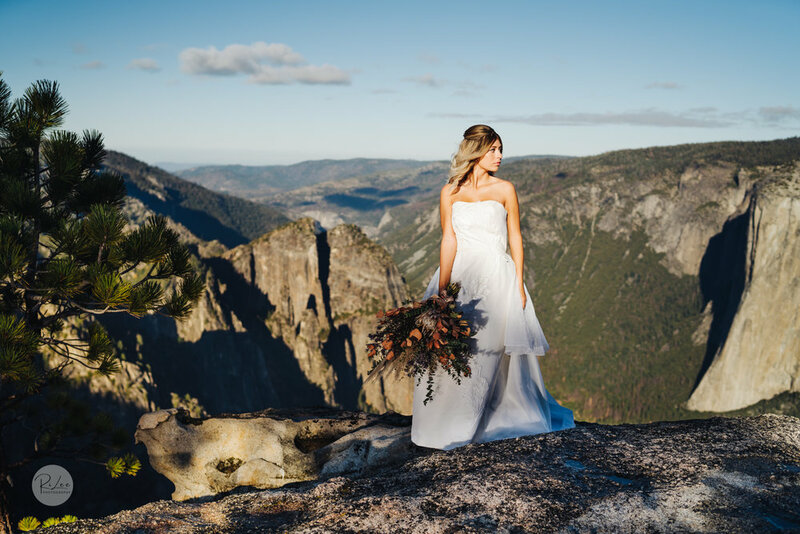 If you’re interested in putting together a vintage Yosemite adventure wedding like this, have any questions, or need an experienced photographer, please feel free to contact us anytime. We are always happy to help!